Rockit Talk is proud to introduce Marcel Dionne. If you've ever been to Roarockit, you may very well have met Marcel. Maybe he taught you how to shape your first mold? Maybe he did a demo for your school? Or maybe he just gave you a big high five and a smile as you walked by!?! Either way, were stoked to have Marcel on board as part of the Roarockit family. 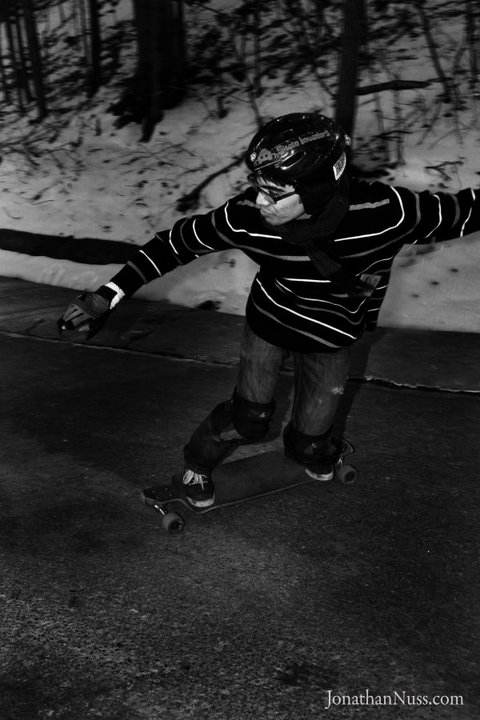 Marcel has worked at the Roarockit Skateboard Company for almost 2 years and is our primary in-house teacher. Thoughout his time with the company, Marcel has taught countless students how to build their own custom skate and longboard decks, as well as creating hundreds of boards himself. He uses this experience to help prepare new students for what to expect during a build. For example, "Many students tend to rush due to the short drying time of glue. Panicking in these situations can often make the process slower than it needs to be. Before we start pressing the board, I go over a prebuild checklist to make sure we have all the tools and materials needed within reach. This helps to keep the students calm and avoid mistakes. If you are properly prepared, there should be no problem getting the board glued and in the bag before it dries." Marcel wasn't always a master board builder. Having come from a background of computer science, much of his experience has been one of trial and error. Luckily, he has been surrounded by many great minds at Roarockit that have helped him to refine his woodworking skills. His favourite saying when it comes to building and prototyping is “Make (or think of) as many new mistakes as you can, so that your next build can anticipate them all”. On top of building boards for a living, he is also extensively involved with the Skate Invaders - a local Toronto skate collective that promotes safe riding and good times. His experience riding with them has given Marcel a great skill set on which to design boards that not only make sense, but ride great! This kind of first-hand knowledge is what makes him such a great teacher as well. Bursting with ideas for both work and play, we hope to see much more out of Marcel in the coming year and beyond.